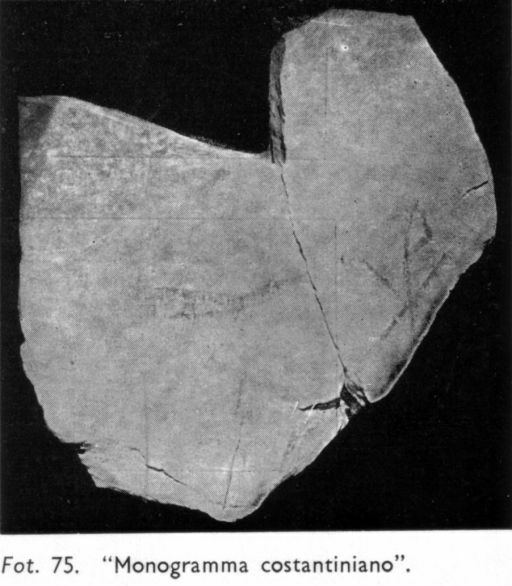 The Monogram Tomb (loci 65-80) received its name from a sign that was found on a fragment of a broken ossuary. Fr. Bagatti calls this symbol “monogramma costantiniano” which draws from the insignia which Constantine followed into battle and victory, after having seen a vision of it in the heavens. This symbol is also known as the “Christogram,” since the monogram is composed of the first two letters of the Greek word “XPISTOS” (that is, “Christos” or Christ), the letters CHI RHO (XP). 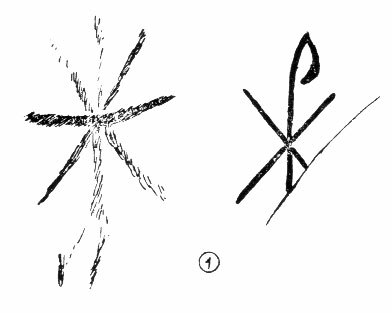 However, the actual origin and significance of this symbol before its adoption by Constantine as a Christian symbol has been questioned. Monograms of this type, usually considered engraver’s marks, have been found in such pre-Christian contexts such as the coins of Herod the Great. (The date is to the left of the central image and the engraver’s mark is to the right, following the practice of Seleucid coins and the Tyrian shekels which were currently in use at the temple). The discovery of this sign, along with the inscribed ossuary which was then read “Simon bar Yonah,” led Bagatti to believe that this tomb belonged to a Judeo-Christian cemetery. In addition, there were ossuaries in this tomb inscribed (primarily in Hebrew) with the names “Shimon”, “Ishmael”, “Martha and Mariam/Maria”, “Salome and her son”, “Philo of Cyrene” (in Greek), “Yehoni the artisan”, “Judah the proselyte” (in Greek) and “Shappira” (Sapphira), “Mariam”, and “Qimi, Yehonatan”. 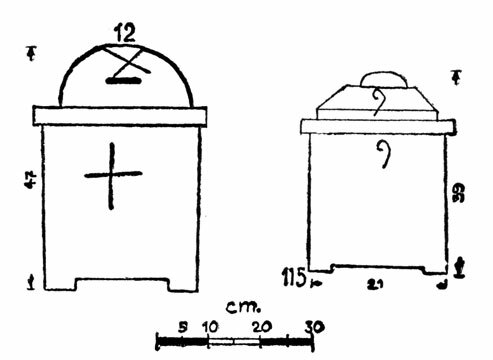 Lid alignment marks in Dominus Flevit, p. 54, Fig. 16. “Clarifying” the Dominus Flevit tomb part 3: The setting of the inscription.